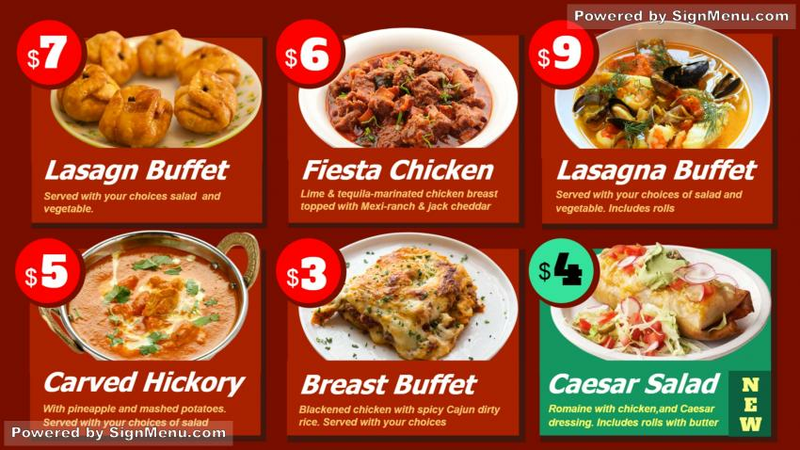 This online offer menu board has been tailor made for food offers which are considered special. The menu board template in red, brown and green looks hot and tempting. The images of the dishes almost look real and the prices have been put on the sides intelligently. Easily readable font with big size makes it clear to read and choose the offers carefully.